safe packaging and prompt delivery of the ordered consignment. 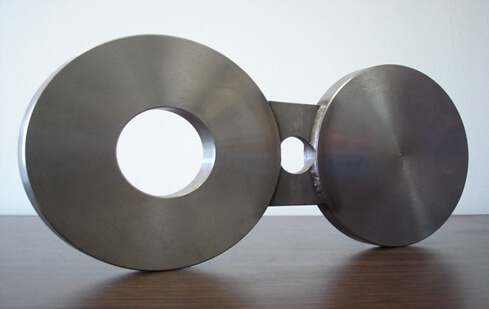 (eg, heat number, size, material and part number). 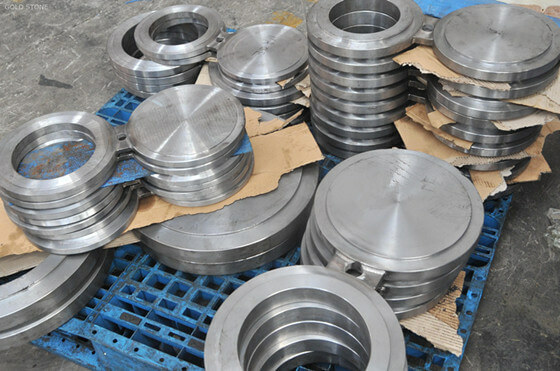 Spectacle Blind Flanges are generally applied to permanently separating pipesystems, or just to connect with each other. 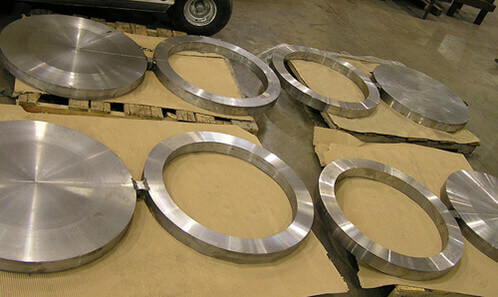 A Spectacle Blind is a steel plate cut into two discs of a certain thickness. 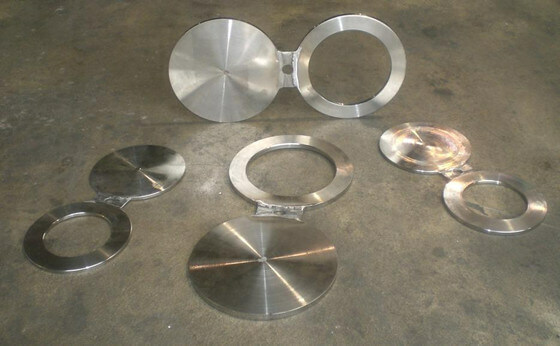 Spectacle Blind Flanges be applied in systems, which regularly need to be separated from other installations. Normally, a Spectacle Blind is mounted in the "open" position so that flow through the pipe is possible. 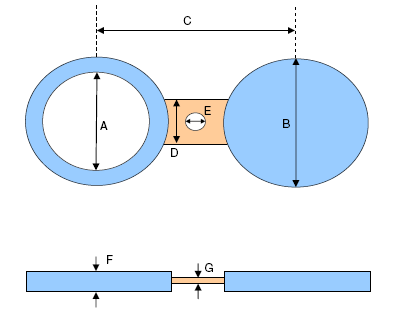 If the Spectacle Blind in the "close" position is rotated, the pipe is blanked off and no flow is possible.